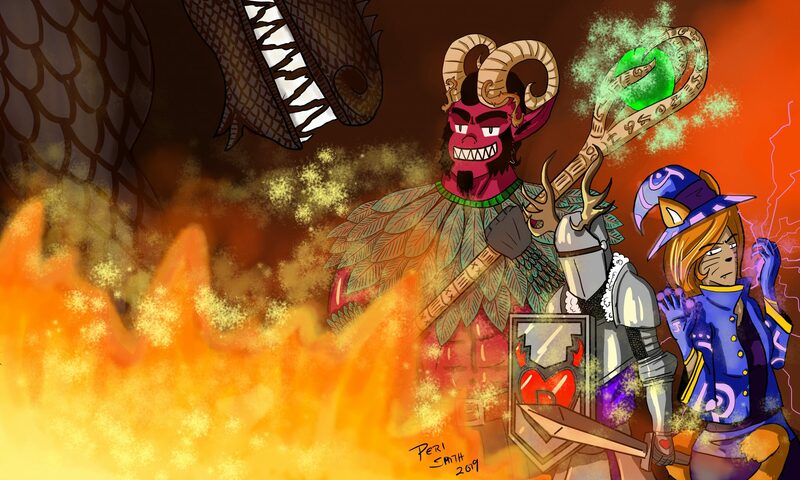 The Year of Fantasy is here, for the 2019 Daku Con Mascot Contest! Wizards and Dwarves and Elves, OH MY! Be it sneaking in to capture the essence of the Secret Goblin City of Shinies, or painting the portrait of an elegant Elven King, prepare to draw: This years Mascot theme is FANTASY! As with last year’s contest, the winner of the Mascot Contest get free entry to Daku Con as well as a table to show off all of your art, and that’s in addition to having your art featured on the Daku Con 2019 official program and T-shirt. Submissions can be sent in the form below. Submissions due by August 1st.